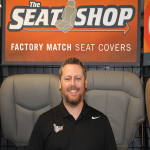 At The Seat Shop Matt manages the business direction and growth strategy of the company. In such a fast moving company it is easy for everyone to get lost in “fighting fires” as they call it and never step back and look at the big picture of the company. Matt has a great ability to take all the moving parts of the business and manage the team in order to keep everyone moving in the same direction towards the same goals. His unique ability to turn creative visions into reality has enabled the company to realize exponential growth year after year. Matt is also responsible for the IT infrastructure of the company and manages their e-commerce website, the eBay store, and the company’s Amazon.com presence. 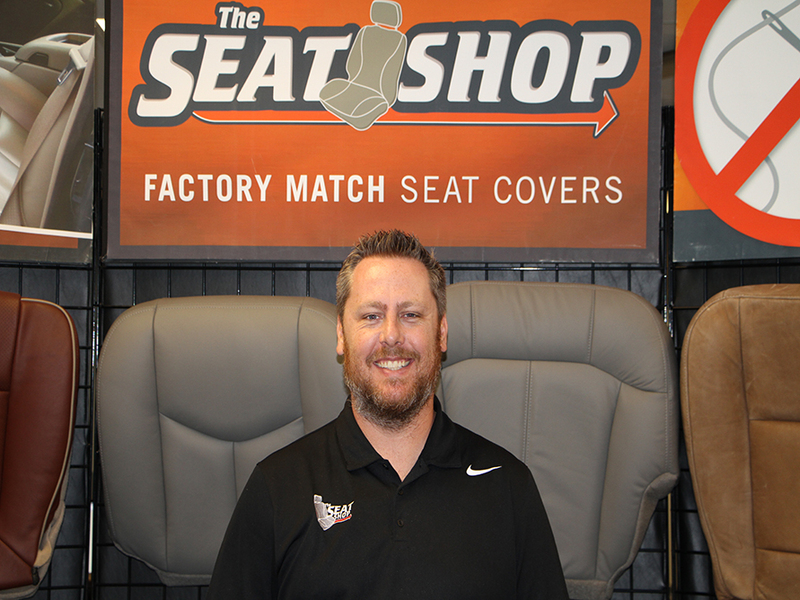 Matt enjoys visiting with and helping individual customers and also oversees The Seat Shop’s growing network of dealer partners. Matt is married to Jill, the company’s controller, and they have a son named Grant and a daughter Molly. Matt loves to watch the Texas Rangers and the Dallas Cowboys. Matt loves all types of music and enjoys playing guitar with his friends from time to time. He is a tech geek at heart and always loves learning about the latest gadget or software that hits the market. Most of all Matt loves just spending time with his family, their dog Biscuit, and is very excited about what lies ahead. Born and raised in Richardson TX, Matt attended the University of Arkansas and is a member of the Kappa Sigma fraternity. In 2001 he graduated with a degree in Computer Information Systems and Quantitative Analysis. Despite the collapse of the dot com bubble, Matt was recruited straight of out college to be a Programmer Analyst at Dillard’s Store Systems at their corporate offices in Little Rock Arkansas. Shortly after starting at Dillard’s, Matt was responsible to writing the back end software that would help the new inventory software communicate with their legacy main frame systems. Matt also played a critical role in the data conversion necessary to re-write Dillard’s supply system software. After gaining some recognition for his role in these projects, the upper management selected Matt to represent Dillard’s in various speaking engagements. At the age of 23 Matt would share the stage with notable business leaders from across the state speaking to college seniors about the transition from college to the business world. After almost 2 years with Dillard’s Matt was ready for a change and began seeking business opportunities in Dallas, TX. PriceWaterhouseCoopers was in the middle of a major re-write of their auditing software to be deployed globally, and in 2003 they hired Matt as a consultant to test and crash their software in order to eliminate problems before the implementation. After working on this project for a year, Matt decided he wanted to transition into the world of sales. His father was a successful salesman and Matt wanted the ability to directly determine how much income he earned, based on hard work and merit. With little sales experience but a lot of determination, Matt began sending out resume’s and cover letters explaining why they should hire a “technology guy” as their next salesman. Finally Matt got a big break and was hired at the telecommunications firm Inter-Tel Technologies (now Mitel). Determined to be successful in the sales arena, for the next year Matt spent most of his time at the office. Always starting the first pot of coffee, Matt would usually greet everyone with a “Good Morning” and everyone (including the managers) would make a point to come by his office to say “Good Night” before they left the office. He soon knew the night janitors by name and if you drove by any given night you would most likely see the glow of a single office light through his office window. His hard work eventually began to pay off. Among 20 seasoned salesmen, Matt finished his first year as the number two salesmen just behind one of the top producers in the whole corporation. He was 25 years old. In the Summer of 2006 Inter-Tel went through a major restructuring and Matt left the company and went to work for CommWorld of Dallas. Working at a much smaller company, he gained valuable experience in customer service and began to gain a reputation of always going above and beyond to take care of his clients. After founding The Seat Shop the same year with his brother Brian, Matt continued to work at CommWorld while running the “back-end” of The Seat Shop business. In 2007 The Seat Shop had grown to point where Brian could no longer run the day to day operations alone. After gaining the tremendous support from his wife Jill, he left CommWorld and began working with Brian to grow their business together.